Someone told me today that the UK library service is being “hollowed out”. This phrases resonated as this is what pretty much every news report seems to show. It looks deliberate. The strength of public feeling about closures caught decision-makers by surprise and so other strategies have had to be put in place. Rather than a black and white decision, it’s far more politic to go for the grey – less bookfund, less hours, less staff, self-service or that ultimate in do-it-yourself, blackmailing volunteers to run the library itself (while still charging them for it, naturally). This gains time and reduces protest but is only a short-term solution. The vital innards of the library – staff who know how to run it well, books people want to read – is being cut out, sometimes without overly much anaesthetic. This does not create so many headlines but it is no less dramatic in its eventual outcome. Things that are hollowed out, like trees, fall. Another theme, accelerated this week by Amazon’s book-lending scheme and new products, is the e-book. The failure to rise to the challenge of e-books is deeply worrying. It’s not “just another format” as I have seen it described. Since when did one see five (ten?) people using talking books (or large-print) in a railway carriage? It’s either going to, please not in my lifetime, eventually replace books or, far more likely, co-exist with print as an equal or more-than-equal partner. Those people who cannot afford ebooks, want them without advertising or are not comfortable with the new technology may, without public libraries, be locked out of literacy or denied the best and healthiest of all addictions. An answer would be the extension of Public Lending Right to ebooks. Any worry over the current absence of this is not even on the radar of government or anyone else in a position to do anything about it …. and things which come in under the radar, like the hollow tree falling above, can often be very dangerous indeed. Campaign for the Book Newsletter – Alan Gibbons. Less libraries closing than feared, but this masks a push towards volunteers doing the job due to council blackmail. Opening hour and bookfund cuts make situation worse. National Libraries Day 4/2/12 shaping up to be big – with special events, libraries opening longer that day, etc. School libraries also under threat. 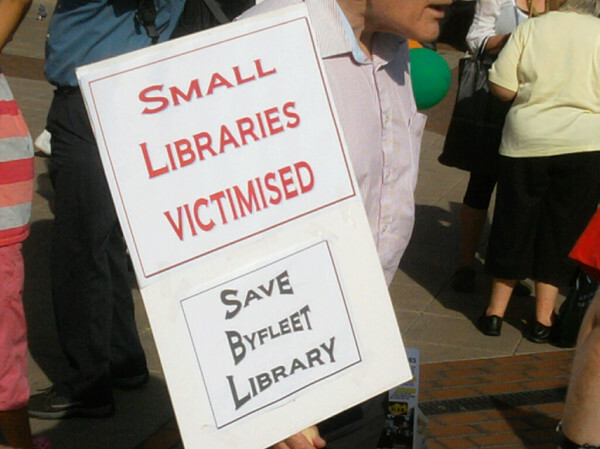 “We have had some success in mounting resistance to the philistine assault on libraries. We will have to redouble our efforts if we are to emerge from this period with a public library service and a network of school libraries worth the name. If we fail the consequences for literacy in this country will be dire.”. School library visits also discussed. Doubts grow, not economy, under UK austerity drive – Boston Globe (USA). First line is “Manchester, England—Jobs have been lost, libraries shuttered, sailors sacked and street lights dimmed — Britain is beginning to taste the bitter medicine David Cameron warned was necessary to fix its wounded economy. It’s left some wondering: Is the remedy worse than the symptoms?” … Professor says “From almost day one they had an austerity plan, but they had no plan for growth”. 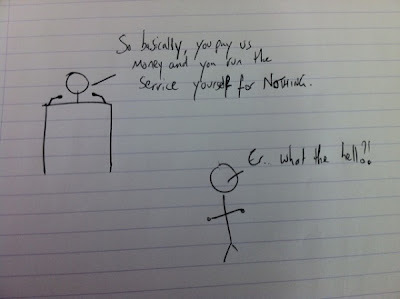 Public library service is in really really deep water – Good Library Blog. The publishing industry are increasingly seeing public libraries as unimportant/irrelevant. This has been shown by the failure to come to an agreement over e-book lending. As printed books decline, libraries will lose their reason. Something needs doing quickly to ensure that this does not happen. What are the opportunities that exist in all the dramatic change that is happening for libraries? – This Week in Libraries. Chris Batt of UCL School of Information Studies and “Digital Futures” speaks, on videocam. Worcestershire – Worcester Public Library rare books sold off (£200,000 plus): sale now restarted since suspension due to public outcry in April (Souce: Historic Libraries Bulletin, not currently available online). Somerset – Watchet Library News – Watchet Library Friends (via Alan Gibbons). Watchet Library was due to have been closed by now but legal injunction is still in force keeping it open until decision of court is revealed, which may be “months” away. Further fundraising still needed to raise £9000 that Legal Services Commission has insisted on, although independent review said that only £3500 was needed. Surrey – Actor Brian Blessed joins Surrey library campaign – BBC. “A spokesman for the campaign group said: “Brian turned up to lend his support to the campaign to save both Bagshot library and its librarians and he stayed for an hour, during which he read stories to the children present in the library.”. Council has said that it will decide to close any libraries that are not volunteer-run by December, although saying its aim is to keep all open. New Haw Library Community Partnership – NatWest Community Force. Appeal for votes for gaining grant. “In the long-term, we are confident that our project can be self-financing. However, we need to fund what are essentially set-up costs. In particular, there are the legal fees that will ensure our project is properly constituted and can be registered as a charity. In this intial phase, we also want to maintain regular contact with the 150+ volunteers who have come forward to offer their help.”. Print article This entry was posted by Ian Anstice on October 2, 2011 at 9:29 pm, and is filed under Uncategorized. Follow any responses to this post through RSS 2.0. You can skip to the end and leave a response. Pinging is currently not allowed.